Hey Off-Roaders!!!! As you know, Babes Ride Out 6 is an event focused on street legal motorcycles. But... that does not mean that you dirt lovers can't come out and have some fun! 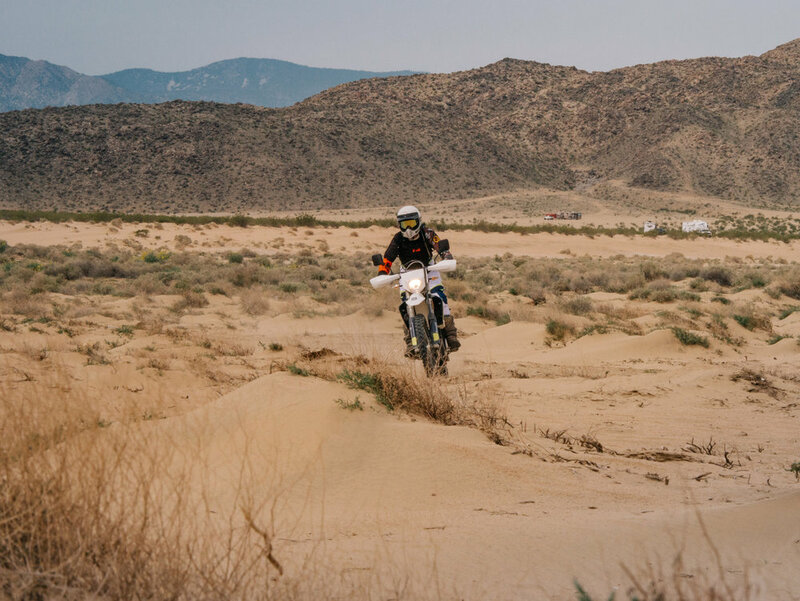 The desert has a couple of great OHV areas for you to play in if you don't have your M1 and is a dual sport paradise if you are plated! Some of the many dualsport trails you can enjoy in the high desert! Home of the famous King of the Hammers Johnson Valley is a dirt riders dream. Full of fun trails, hill climbs, dry lake bed and open dirt roads. There is something for every level of rider here! Giant rock has a history all its own! From UFO conventions to mysterious phenomenon, this place has drawn in people from all walks of life. It just so happens to be excellent terrain for off-roading. There is plenty of wide open spaces for Braaaping and tons of interesting trails and terrain. Please remember, there is no dirt-bikes allowed off the truck or trailer in the campsite. No braaaping in or around the campsite whatsoever. This is the property owner's wishes so please respect it. Both of the above riding areas are not far and you can totally have some fun! Enjoy! AND see you at Babes in the Dirt 4 in April 2018!